The time after BlackBerry's most recent quarterly earnings report. CEO Thorsten Heins has tried to calm down shareholders, and has asked for patience as BlackBerry continues attempting to regain relevance, but it hasn't helped much in terms of employee morale apparently. BlackBerry fired its U.S. sales chief, and now it has come out that two other senior executives walked out of their own accord. 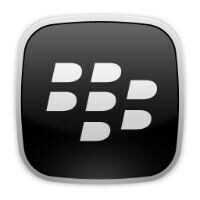 The Wall Street Journal is reporting that two acquisition-hires have left BlackBerry recently. T.A. McCann, a vice president in charge of all social networks, had joined BlackBerry when his contact-management company Gist was acquired back in 2011. The report says McCann quit about two weeks ago. McCann had been in charge of third-party social networks apps on BB, and he was also in charge of BlackBerry Messenger. And, Marc Gingras, who has been with BlackBerry since his social-calendar company Tungle.me was acquired by the company in 2011, has also left. Gingras had been tasked with building the new calendar and contacts applications for BlackBerry 10; and, sources close to Gingras say that he was also responsible for the new BlackBerry Hub feature of BB10. The report says that BlackBerry tried to convince both men to stay, but was obviously unsuccessful in its attempts. There's going to be nothing to restructure. Well if execs for these companies didnt get paid mountains more money than doctors, firefighters, teachers, police, etc maybe I would care more. That said.....what goes up must come down. The same way BB is struggling, Apple, Google, MS could be in their shoes a few years from now. MS already is IMO, no matter what the WP fans say. There was a time I thought BB would NEVER fall out of 1st place for smartphones. sooner or later we will see both either in MS or IOS.